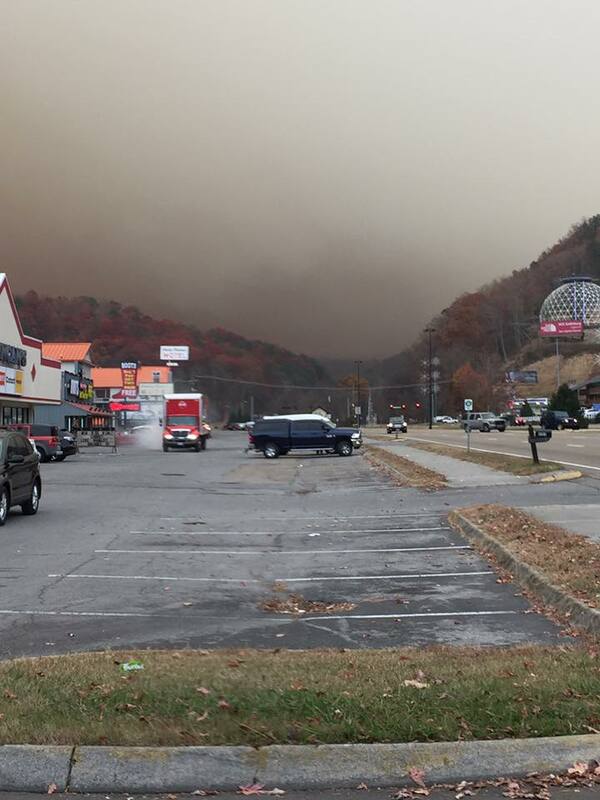 From City of Pigeon Forge Fire Department The City of Pigeon Forge and the surrounding communities are currently seeing a large amount of residual smoke from the fire in the National Park. The sunlight is causing it to have a red tint. We ask that you follow the States air quality alert recommendations. There are currently no fires near any home communities to be concerned of.